I currently reside in Gilbert, Arizona just outside of Phoenix. I have lived in the Gilbert area since 1987. I graduated from Highland High School Located in Gilbert, Arizona in 2002. I began fishing young at the age of 5 Years old with my family and have had the passion for fishing ever since. 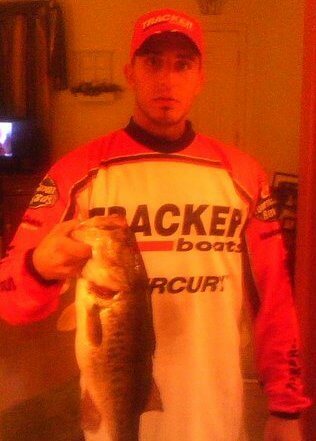 During my junior and high school years I would go fishing about 4 times a week and every weekend pursuing big bass. I have fished pretty much every lake and urban lake through out Arizona. I have developed different styles and techniques, which has made me different from everyone else and successful at the same time to produce fish. I have learned to adapt to fishing in all seasons and weather changes which has made me become successful in producing fish. After high school I began fishing Redfish Tournaments in New Port Richie, Florida have fished in over 9 tournaments there and have placed top 10 6 times and winning first place three times. In September of 2007 MY dad bought my brother our first new Bass Tracker and have been fishing local Bass tournaments. We are currently fishing the JackAZ circuits which are placed 19TH out of 129 top anglers.I am currently on the Tracker Marine pro team and am on the pro staff and get support from Bass Pro Shops, Blueheron Tackle company ,Triplefish line company.